Make light work of your housework with this fantastic Beldray cleaning set, including a dustpan and brush, window squeegee, scrub brush and chenille duster. 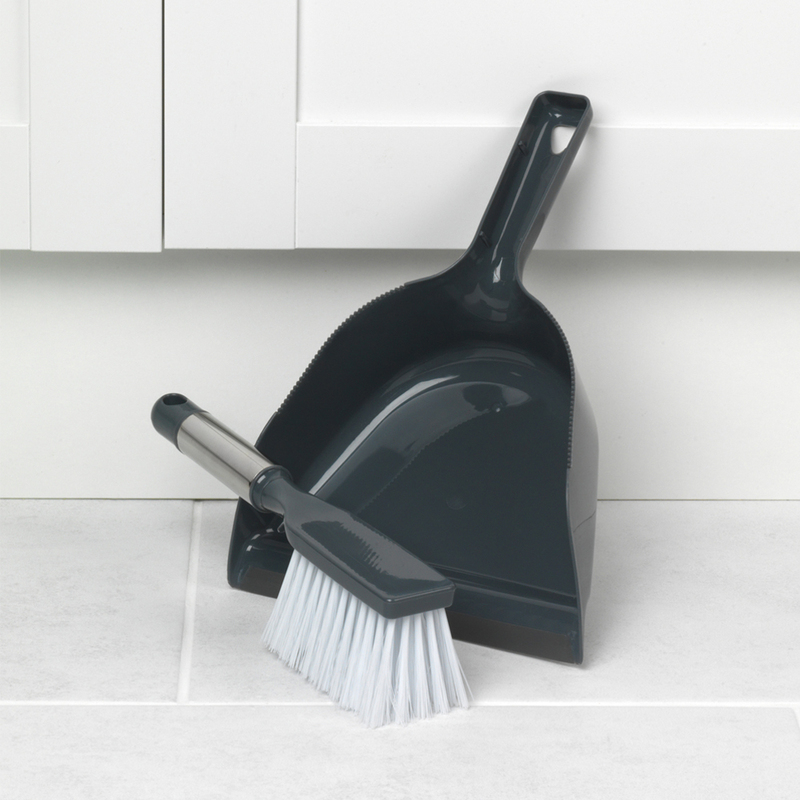 Made from plastic with a stainless steel handle the dustpan and brush is lightweight and comfortable to use. Fantastic for cleaning windows and mirrors the window squeegee gives you a streakfree finish on any glass. 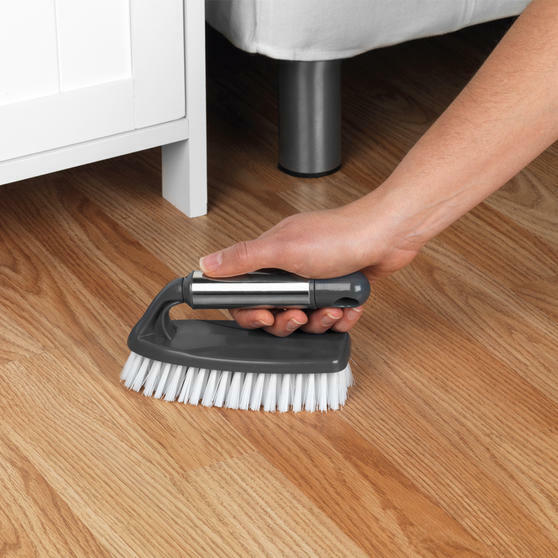 The chenille duster is superb at locking in dust and accessing awkward areas, all four items are cleaning essentials. 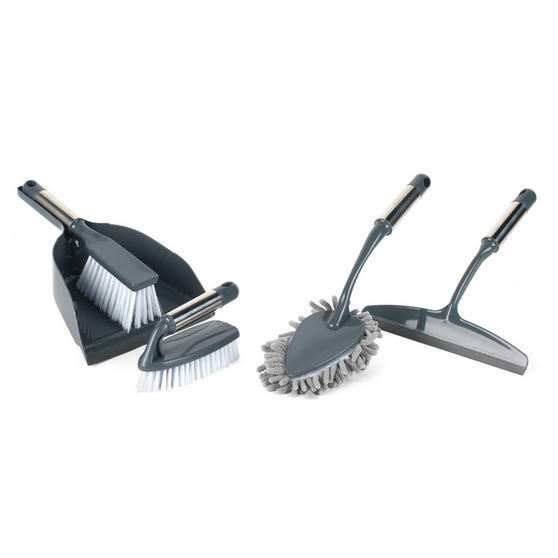 This Beldray cleaning set is the perfect way to get your home looking its best, taking care of your floors, glass and other surfaces. 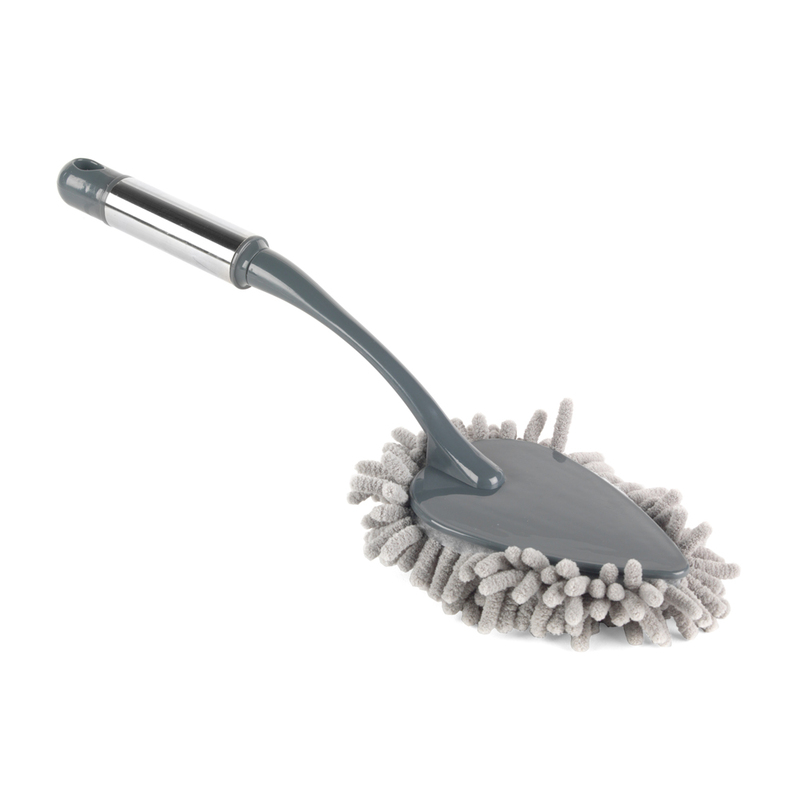 The triangular chenille head effectively locks in dirt and is fantastic for cleaning those hard to get to corners of your home. 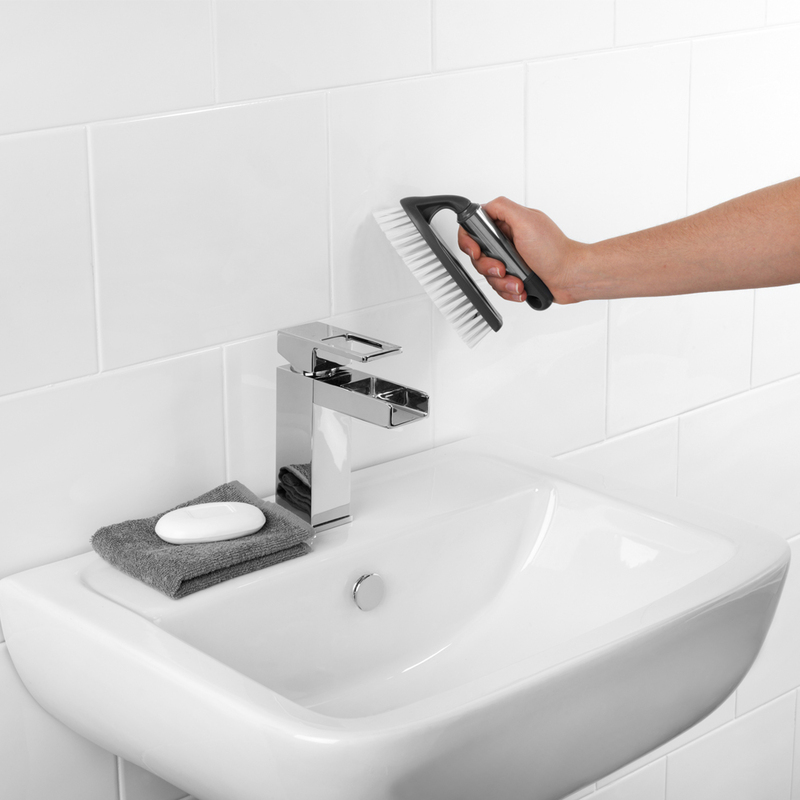 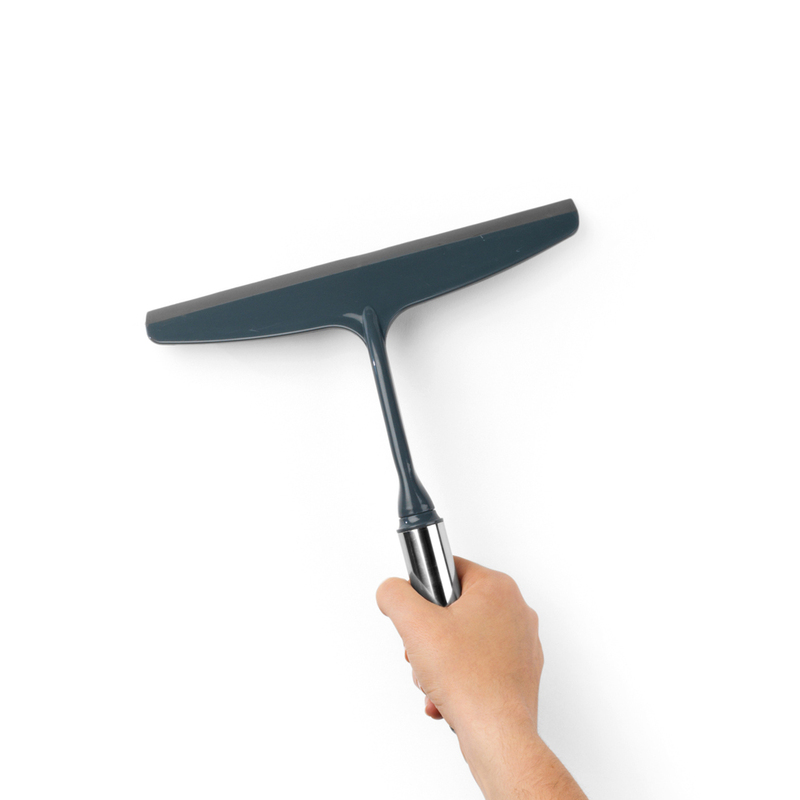 The squeegee is wonderfully multi-functional whether you want to clean a shower, window or mirror it will give a shimmering finish. 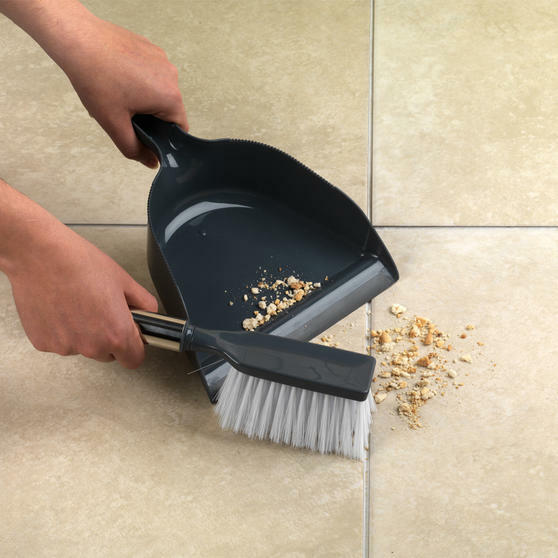 All four items are to use and easy to grip, they all have stainless steels handles so you can manoeuvre them comfortably.